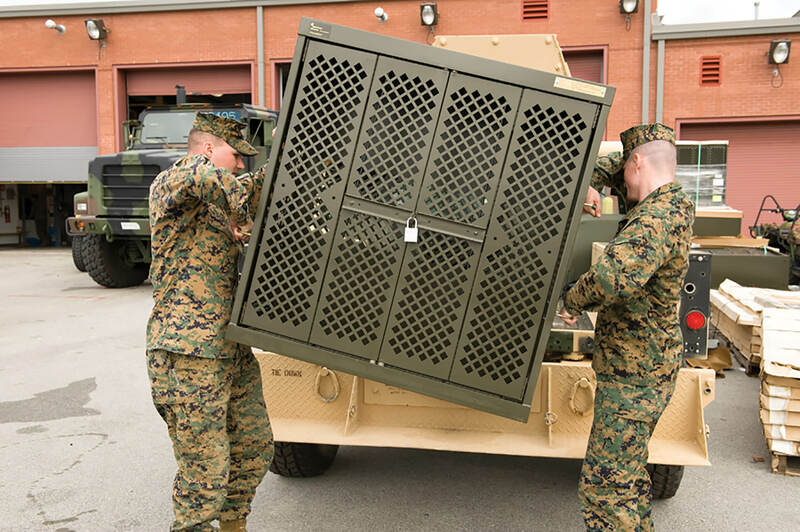 Whether you’re on base or in the field, we have an array of secure military weapons storage options that transition smoothly from storage to transportation. 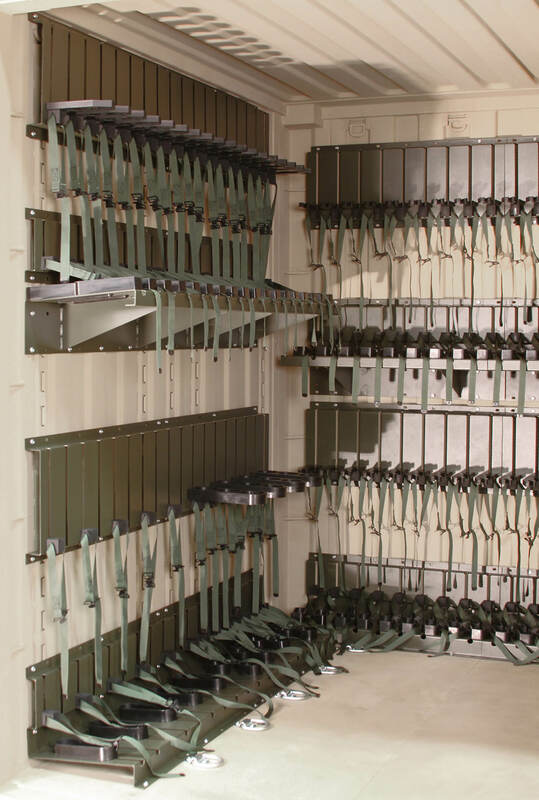 Choose from weapons racks, shelving, and containers with reconfigurable accessories such as brackets, shelves, and bins to accommodate rifles, handguns, automatic weapons, and accessories. With steel construction and standard or electronic locking options, you can rest assured that your weapons are safe and easily transferred into military shipping containers. Store your company’s equipment so that it can be easily inventoried, inspected, issued, and accessed. 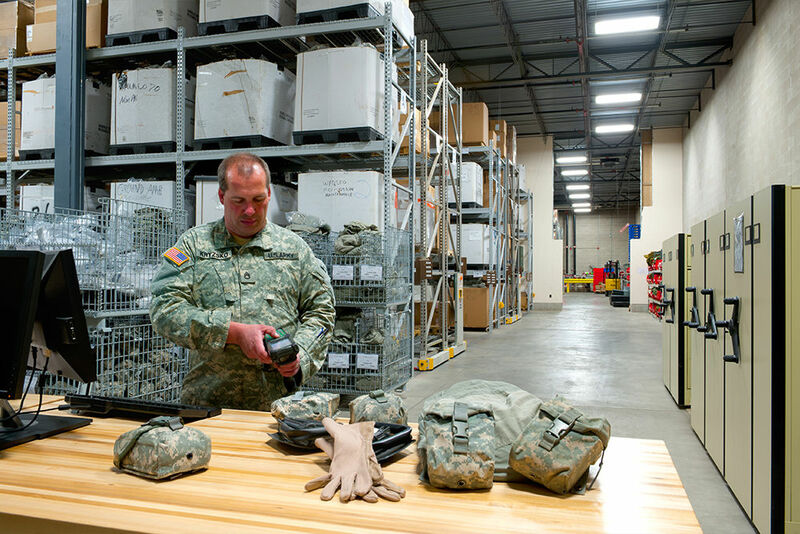 From personal issue gear and parachutes to records and blueprints to tools and repair parts, we offer proven, military-certified systems that help you better manage time, space and security. Space and time are always at a premium in busy military and VA hospitals. 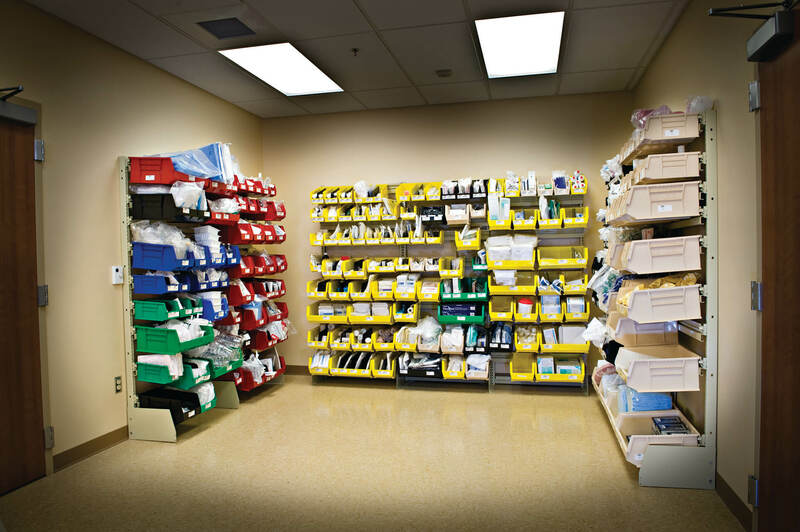 We can help with storage solutions for pharmacy storage, sterile supply, patient rooms, and central storage that increase efficiency and reduce the possibility of errors so that healthcare personnel can spend more time with patients and less time searching and restocking. Added tracking and security features help can help maintain optimal inventory control. 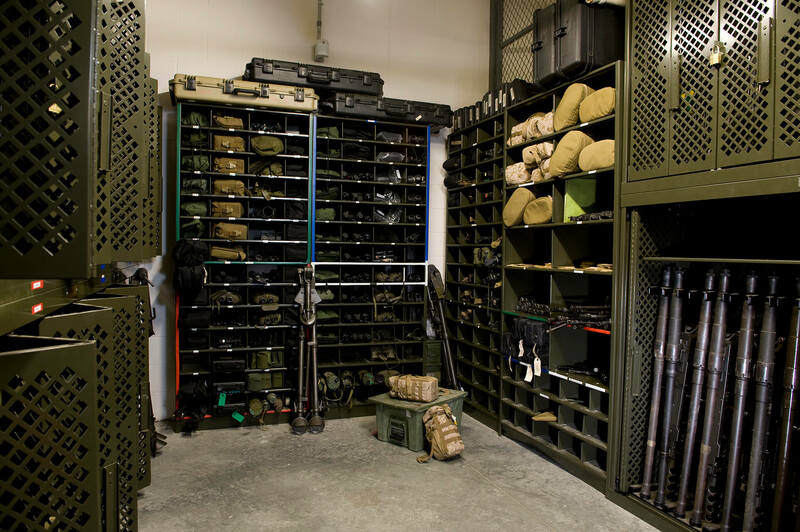 Successful missions begin with proper storage and deployment – which is why we offer custom, turnkey weapons storage solutions to match your mission including storage for duty bags, firearms, personal protection equipment, tactical vests, helmets, flashlights, clothing, and boots. Personnel can easily rearrange accessories to suit their changing needs.